The relentless focus on corruption within FIFA on both the front and back pages of the papers in recent weeks has been a little unedifying. The allegations of bribery in the contest to host the 2022 World Cup, not to mention the long-standing suspicions about some of FIFA’s commercial dealings, are serious and need investigating. But there’s not that much that is new, surprising or, to be frank, all that important. I wonder if – in fact, I am certain they wouldn’t – similar allegations of corruption at the United Nations, World Trade Organisation or International Monetary Fund would have received the same blanket coverage. These institutions are crucial parts of our system of global governance, making decisions that affect the fates of entire nations. FIFA is responsible for organising football tournaments. The obvious explanation is that the press simply wanted to write about football as public interest was heightened in the run-up to the World Cup, and this was the best story available. If only one of the England team had broken his metatarsal to give us some real pre-tournament drama. Turning to the substance of the allegations, it is clear FIFA has some questions to answer, and there is a need for much greater transparency. 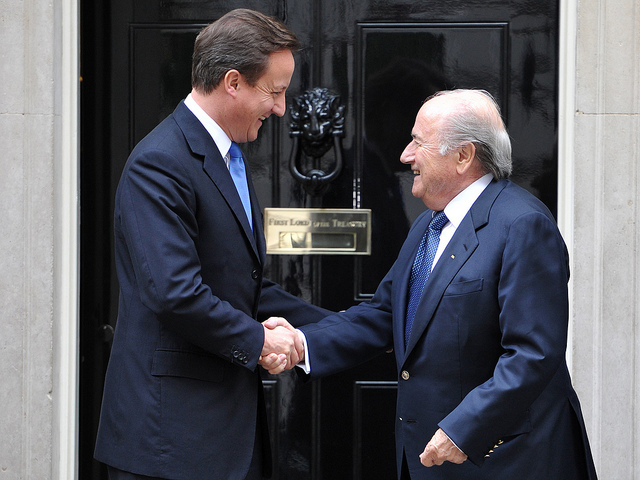 But can we honestly say that FIFA has a poorer ethical record than our own Premier League? The reigning champions, Manchester City, are owned by a member of the Abu Dhabi ruling family. That country is, like Qatar, a dictatorship run by a super-wealthy elite with very limited rights for the immigrant workers brought in to build its sports stadia and skyscrapers. Where are the articles in the mainstream media calling for City to be thrown out of the league, like those calling for Qatar to lose the right to host World Cup 2022? The entire premise of the Premier League’s formation was that the wealthiest clubs should be able to reap the huge rewards of selling broadcast rights around the world, while giving very little back to the grassroots of the game in England. Just as bad, Premier League clubs now scour the planet, taking the best young players from their home countries, paying peanuts in compensation. Our own FA – which loves nothing more than to criticise FIFA president Sepp Blatter – has overseen all of this with barely a whimper of protest. I would also be sceptical of those instructing FIFA to look to the International Olympic Committee as an example of good practice in global sports governance. It’s true the IOC has stronger rules in place to prevent corruption. But this is the same institution that in recent years has sprinkled Olympic prestige on authoritarian regimes in China and Russia. It also provides a global advertising platform to help Coca-Cola and McDonald’s sell sugar and fat to children, an endeavour in which London gleefully participated in 2012. With the football now finally underway, I expect the FIFA corruption stories to disappear from the media for a while. Let’s hope this is an opportunity to focus on much bigger scandals, including those closer to home.